One person may consider leaf raking a burdensome chore, while another considers it a pleasant activity and a good excuse to be outdoors. Because lifestyles, tastes, budgets, and enthusiasm for gardening differ widely, it follows that there are as many ideas of the perfect garden and landscape as there are people. So one can design the best landscape plan for you without knowing you well. And no one knows your family better than you. 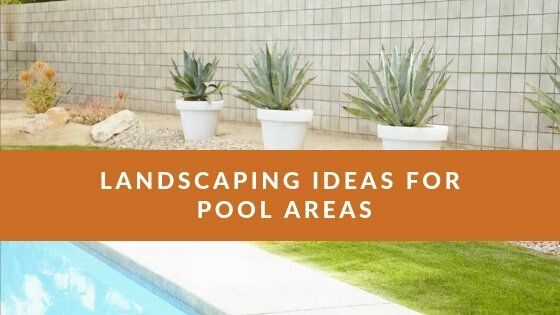 To avoid ending up with a new landscape that is not quite what you had in mid or that doesn’t meet your family’s needs, plan ahead by asking yourself and your family some important questions about your lifestyle. Does your family spend a lot of time outdoors? Would they spend more if you build an attractive deck, added a swimming pool, or created a flower-filled setting for dining or reading and relaxing? How do you use your property? Consider how you want to use the property surrounding your house. It can serve many functions if you plan it right. Is it a place for adults to lounge, children to play, or both? Do you like to sit outdoors on a warm evening and eat and cook outdoors, or are you strictly indoor folks? Do you want to indulge in a gardening passion such as growing roses, heirloom vegetables, or cut flowers? or are your main goals simply to beautify your’s home surroundings and create attractive views both indoors and outdoors. Even if you aren’t an avid gardener, you may want a lovely view that can be enjoyed from indoors every day of the year. Your special view may vary from a flower-filled garden seen every morning from the breakfast table to a dramatically silhouetted weeping cherry viewed from your bedroom window as the foliage changes through the seasons. These special sights are important and bring pleasure throughout the year. Ask yourself practical questions because good landscaping also it solves problems. Do you need privacy from the street or neighbor? Do you need room for more cars to park off the street? Is the house too shaded by overgrown trees and shrubs, or is it too and sunny in summer? Is the law o large to more mow yourself? Sometimes you get so accustomed to the things you see around you every day that you stop noticing what’s before yours. So walk around your property and pretend it belongs to someone else. Take a critical look at the landscaping from all angles-from the street, as you approach the house from the front walk and driveway, and perhaps even from your neighbors’ yards. Take a comprehensive look to determine if the trees and shrubs are out of scale with the house. If the colors of the flowers clash with the paint on the house, if the fence style is in keeping with the architecture of the house. Are there eyesores, such as trash cans, rubbish piles, or swing sets, that should be hidden? Finally, ask yourself how much time you really can spend maintaining the yard and gardens, Keep in mind that a law needs regular attention once or twice a week from spring through fall, but groundcover plantings require hardly any attention. Flower gardens demand concentrated maintenance in spring and fall and only minimal care during summer. Informal shrub plantings are practically care-free, needing pruning only every few years. But formally sheared hedges require a lot of effort several times a year. Some shade trees are messier than others, but moist create work only for several weekends in autumn. If you time is limited, consider low-maintenance groundcovers and informal shrub plantings. Consider hiring help or mowing or fall and spring cleanup. So you can use your time and energy for gardening or other activities you really enjoy. 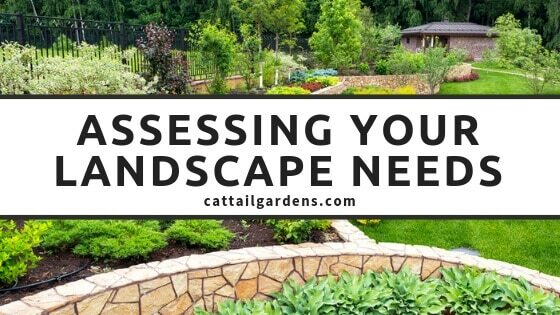 Key to a successful landscape plan is determining how you want to use it. This new patio carved out of a steep slope, create space for the family’s small children to play and an ideal spot for dining outdoors.